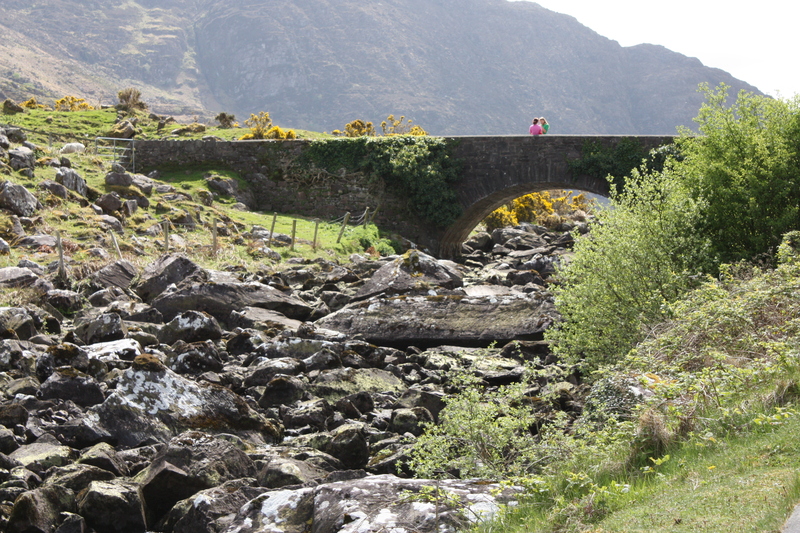 In 2011, we took the family to County Kerry in Ireland for Easter (I was working at the MRC Laboratory of Molecular Biology in Cambridge, UK at the time). One of the highlights of the trip was walking at the Gap of Dunloe. The gorse was in full bloom, providing a bright contrast to the greens, greys, browns, and blues of the landscape. We didn’t really do much. Just walked. And looked. Among all the wonderful mornings we have had as a family, that morning at the Gap of Dunloe is a stand out. Afterward, the kids fell asleep in the car and we took a leisurely drive around the Ring of Kerry. Since Mike and I founded The Finch & Pea, we’ve slowly and steadily made superficial changes to the site’s style, without getting away from our original “online science pub” idea. We still love the concept; but we (by which I mean me) like to fiddle with things. So, over a series of incremental changes, we’ve changed quite a bit – as you can see from looking at our various site headers. Maybe it is the approaching winter and shortening days. Maybe it is the pessimistic feeling that our Internet home is a bleak Mad Max wasteland roamed by gangs of sociopaths, pock-marked by outposts of civilization. Maybe I was procrastinating. Whatever the reason, we decided to brighten up some of the colors around the joint, while still being recognizable and feeling like home. We wanted to keep the same general theme to our site colors, but draw the updated versions from nature. 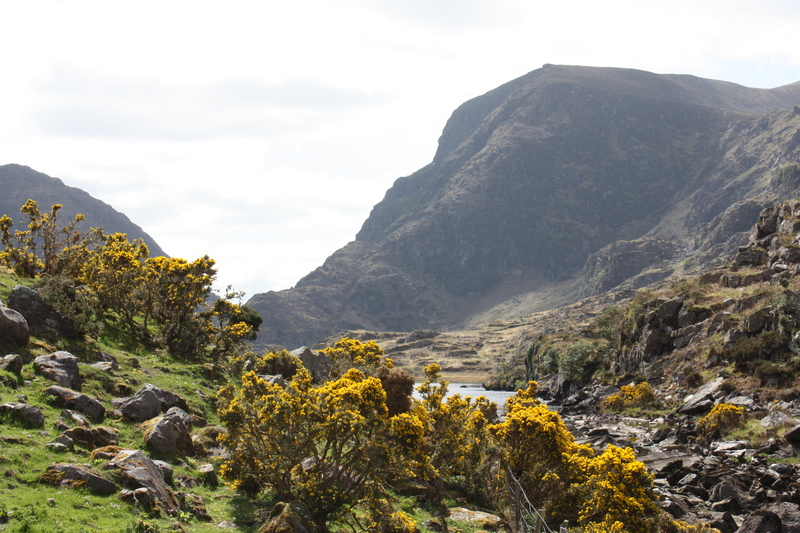 The updated color palette for The Finch & Pea is literally drawn from this picture of the Gap of Dunloe. I used the Eye Dropper color picking extension for Chrome to select colors from the picture. GREEN – #719813 – This green is drawn from the grass in the bottom left corner. When one wants green, what can be better than the grass of Ireland, the Emerald Isle itself? 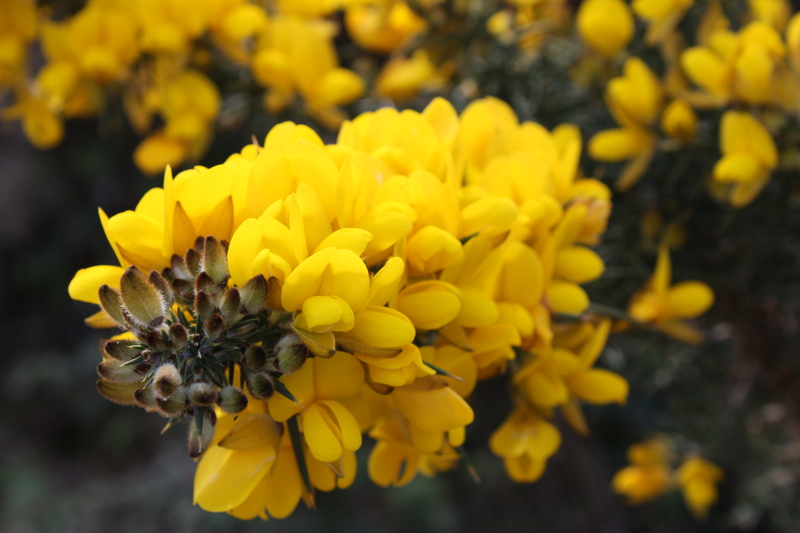 YELLOW – #FCDA00 – The yellow comes from the gorse bush (Ulex europaeus) in bloom to the lower right. The dramatic yellow flowers were out to full effect on our trip and still stand out in my mind’s eye. When I think of yellow, I think of these flowers. CREAM – #F0EAD4 – The color of the text you are reading right now came from a spot on the brown rock at bottom center being struck by sunlight. GRAY – #999092 – The rocks. What else? LIGHT BROWN – #b39a6d – This brown comes from the banks of Black Lake visible in the background where the hills run down into the water. We think of the most beautiful landscape from an island nation known for the beauty of its landscapes seemed like a fitting inspiration for an “online science pub”. Hope we did it justice. *We also made the font a bit bigger for easier reading. This entry was posted in Curiosities of Nature, Items of Interest and tagged Design, Gap of Dunloe, Ireland, MRC Laboratory of Molecular Biology, Ring of Kerry. Bookmark the permalink.